I’m sure you’ve already been waiting for the next Gato Preto release impatiently. And here it is… as always we have it first, of course! 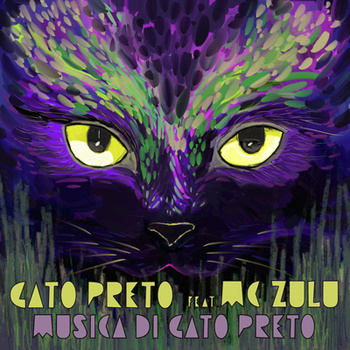 The new tune is a collaboration between them and the Chicago based MC Zulu, who’s adding his dancehall vibes to the typical Gato Preto sound we all love so much. This time Remixes were done by DJ Emil of Boomshakalaka, our friends of KiT, Rafael Aragon, Cafe de Calvares and one by Tropikore and dancehall vocalist 2irie. The last one is more or less a complete new song with two additional ragga verses by 2irie, the first one in english/patois and the second one in spanish! But before you start downloading the new EP via bandcamp, take the time and watch the official video to the single. It was shot in London during the Notting Hill Carnival and was released today along with the tune itself.